After the SPM results were released on March 3, 2016, we received a total of 151 applications for the Elena Cooke Education Fund scholarship. 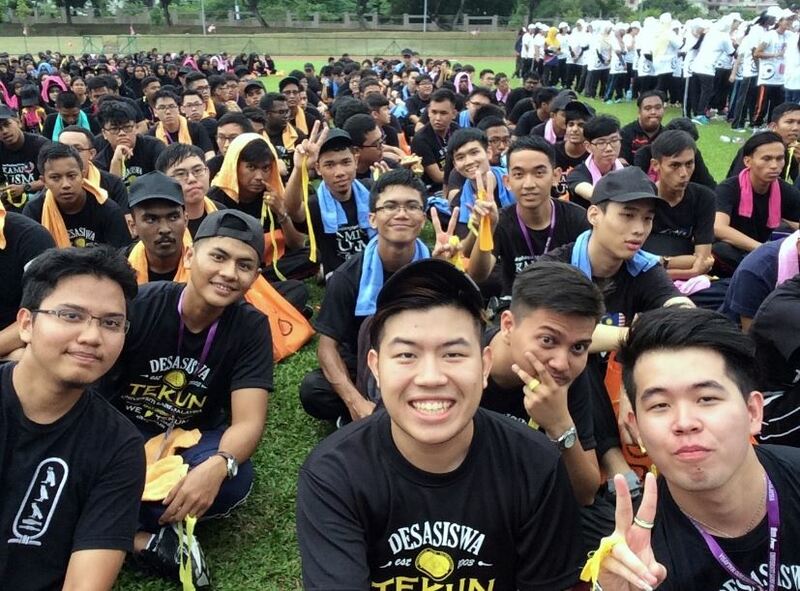 As usual, our minimum criteria were that each applicant must be a Malaysian, must have scored at least 3As in the SPM and the maximum household income is RM36,000 a year. The Selection Committee, comprising 13 ex-BBGS girls, painstakingly perused and evaluated all the applications and did a magnificent job to shortlist 28 candidates for interview. This year, among the applicants were those whose parents were farmers, labourers, factory workers, fishermen, carpenters and welders. There were single mums. There are applicants with parents and siblings on dialysis and various other serious medical conditions. The interviews have been completed. However, as at today, not all the scholarships have been awarded as there are some applicants who are still awaiting the results of their applications to the Government universities. The scholarships that we have awarded so far are to two students to study in KDU University College, one to study in First City University College (formerly known as KBU International College) and one to study in Universiti Malaysia Pahang. 3 subjects. Semester 0. And our ECEF Diploma in Computer Science scholar at Universiti Malaysia Pahang, NURCASSANDRA NISSA BTE SHANIZAL, scores a perfect GPA/CPA 4. Congratulations indeed! 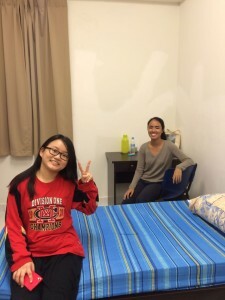 Nurcassandra says she is enjoying herself in university and has made many friends. Her 3 room-mates are Chemical Engineering students. Her Computer Science classmates have elected her class representative. “I’ve managed to do things I could never do before and have gained a lot of experience,” she says. Over in USM, JONATHAN PANG who is pursuing his BA (English for Professionals) says “classes are so far, so good”. He says he made many new friends during his Orientation Week. Our other scholar in USM is CHONG WEI KUAN. She, too, seems to be having a great time. 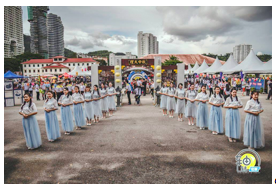 She interviewed for and got the emcee job at the university’s Pesta Tanglung on 1 October. 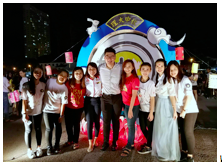 She participated in the Convex Society’s teambuilding event, and took part in an activity where students had to form the words “I Love USM”. She also has a “Direct”, i.e. a senior student who is willing to share information with a junior student (like a “buddy”?). Khai Zin and Alicia are room mates! Khai Zin and her family live in Muar. Her father is a farmer who grows durians and coconuts on his farm. His income is irregular as the trees are old. Her mother is a housewife. 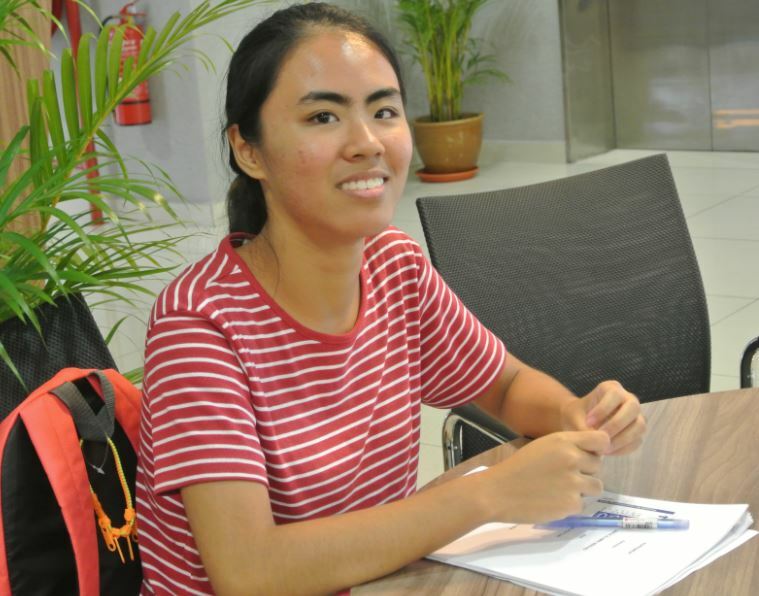 Khai Zin said she studied hard for her exams as her family faced “economic problem” and she knew she needed to get a scholarship otherwise she would not be able to further her studies. Like most of us, Khai Zin wants to find a good job and be a successful person (“I want my family to live a better life”). 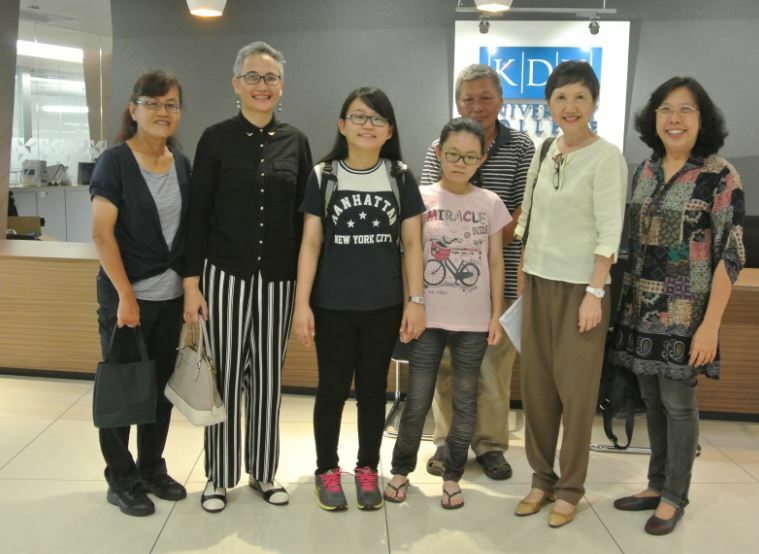 Khai Zin’s hard work and efforts have paid off – she scored 8As and 2Bs in the SPM and has been given an Elena Cooke Education Fund scholarship to study for a Diploma in Business Administration at KDU University College. 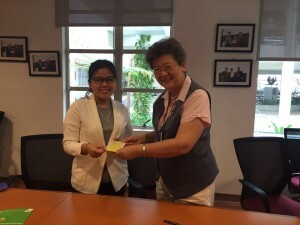 This scholarship is structured in collaboration with KDU – KDU waives the tuition fees and registration fee while ECEF gives allowances for living expenses, accommodation and book purchases. Alicia is from Miri, Sarawak. An only child, her father passed away from stomach cancer in 2013 and her mother is herself undergoing medical treatment. 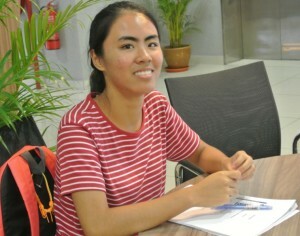 Alicia scored 7As in the SPM and has gained entry into KDU to study for a Diploma in Computer Studies. In her personal statement, she wrote that she has been intrigued by how computers work since she was young, hence her choice of course. At the same time, she feels she needs to work to earn money for her mother’s treatment. Alicia has won a STAR Education Fund scholarship that will take care of her tuition fees. The Elena Cooke Education Fund is helping her with a living allowance and an accommodation allowance. Nursyamimi is our Elena Cooke Education Fund scholar for 2016 in First City University College (formerly known as KBU International College). Her father passed away in 2009, and she lives with her mum and younger sister in the home of a relative in a kampong near Batu Pahat, Johore. 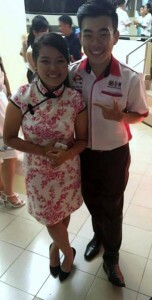 Her mum works as a shop assistant in Pontian for a small salary. Due to her 5As in UPSR, she was able to enter a top residential school, Sekolah Seri Puteri in Cyberjaya, where her interest in art and design was nurtured and blossomed, culminating in her decision to pursue interior design as a career. She has told us her inspiration is Eric Leong, the celebrity interior designer, and she dreams of having her own show “Décor with Syamimi”. Nursyamimi has been accepted into First City University College to study for a Diploma in Interior Design. Under our arrangement with First City University College, the tuition fees are waived, while ECEF covers her hostel fees and gives her a living allowance and an allowance for book purchases. ECEF is glad to be able to help Nursyamimi take that first step toward achieving her dream. 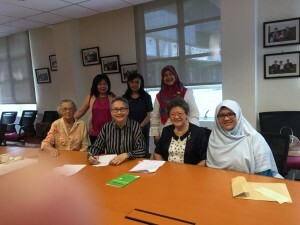 Attached are photos of Nursyamimi and her mother at the signing of the Scholarship Agreement. 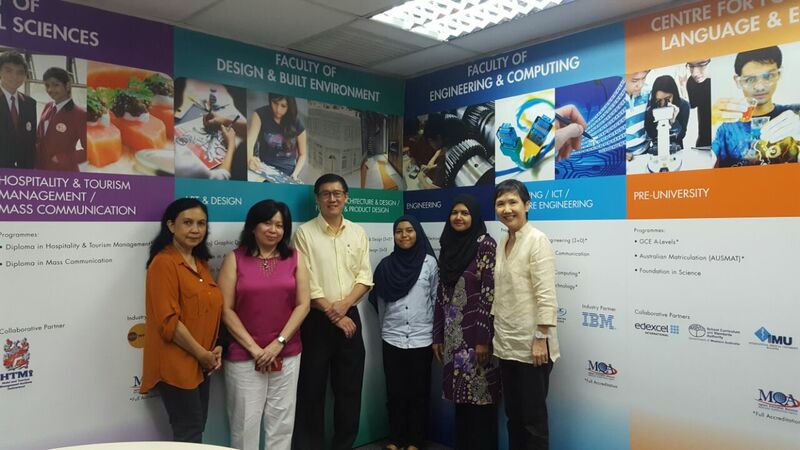 Also present were Mr Lye Boon Han (the Registrar of First City University College), Lim Lai Hong and Raja Yasmin (members of the Selection Committee) and Jennifer Cheong (member of the Board of BBGS Alumni Bhd). All smiles at the scholarship signing ceremony! Seated L to R: Dr Gwen Smith (Datuk Shireen Muhiudeen’s mother), Datin Azimah Rahim, Ms Moey Yoke Lai & Nurcassandra (seated on far right.). Standing L to R: Ms Lim Lai Hong, Raja Yasmin Raja Jalil & Putri Juliani Johari. She is the eldest of five siblings and the first to pursue a college education. Starting her 3-year Diploma in Computer Science at Universiti Malaysia Pahang this May, Nurcassandra aspires to be a software developer. College education might have been a remote dream had she not succeeded in being awarded a scholarship under the Elena Cooke Education Fund which gives her an allowance for her living and book expenses. Moreover, her college tuition and hostel fees will be sponsored by Datuk Shireen Muhiudeen, in fond memory of the late Madam Annie Yeap, an orphan who had worked over 45 years for Datuk Shireen’s family. With this financial burden being taken care of, Nurcassandra’s father can now focus on treating his diabetes and high blood pressure that has left him partially blind in his left eye. Officially an OKU cardholder, he has to be on CAPD (water dialysis) for renal failure – a procedure he does at home 4 times every day. Her mother bakes cookies to sell and relatives help out financially. Adamant to succeed in life, this spunky student wants to be an example to her 4 younger school-going siblings. “This scholarship means a lot to me…feels like I am given a second chance to regain my dignity after my unsatisfactory SPM results,” says Nurcassandra, who scored 6 As. The Elena Cooke Education Fund recently awarded scholarships to two bright young people (Chong Wei Kuan & Jonathan Phan Kar Jun) who, coincidentally, have both been accepted into Universiti Sains Malaysia in Penang to pursue degree courses. 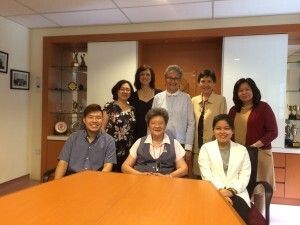 Jonathan and Wei Kuan with Ms Moey Yoke Lai (seated); behind them are (L to R) Fong Lai Leng, Sarina Loh Cheen Yeen, Datin Noor Azimah, Jennifer Cheong and Lim Lai Hong. “It’s the love and feeling of accomplishment when I teach that made me want to pursue my dream as a lecturer,” and “I enjoyed every minute of it”, bubbly Penangite Chong Wei Kuan says of her 5-month temporary teaching stint at the primary school where she was a student. Specifically, she wants to be a lecturer in Business/Management. And she is well on course, having recently started her Bachelor of Management (Honours) at Universiti Sains Malaysia. 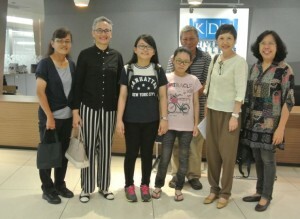 Wei Kuan is the first in her family to go to university. Having to help out at her father’s hawker stall in Georgetown since her childhood, she appreciates the hard life of what she describes as a “low seniority person in society”. Working at the hawker stall has also inculcated in her strong work ethics. Although she only had average results in her SPM, she worked doubly hard for her STPM and scored 3As. As a 2016 recipient of an Elena Cooke Education Fund scholarship, we are confident that Wei Kuan will succeed and make her parents proud. She was last year’s emcee but this year, Chong Wei Kuan was part of the main committee that organized the event on 7 & 8 October 2017. Sounds like she had a hectic but fun time and learning skills that co-curricular engagements like this can sharpen. 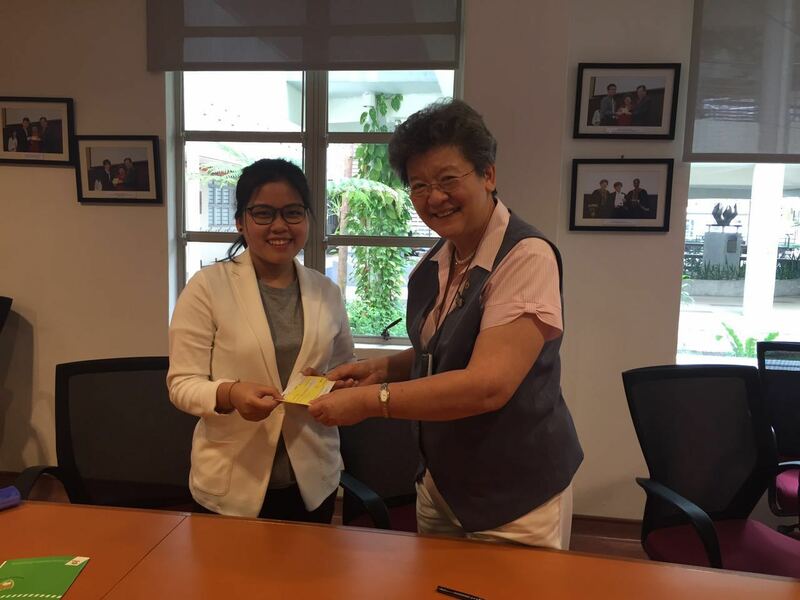 Wei Kuan, one of our 2016 scholars, is pursuing a 4-year degree in Management in USM. Jonathan Phan Kar Jun loves English and wants to “inspire others to learn English in the same way I did – fun, non-tedious and life-changing”. During the times when he helped his classmates who struggled in English, he recalls “it ignited a spark in me to become an educator in English language”. 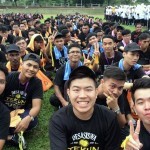 Three years down the road, this young man from Kuantan will graduate with a Bachelor of Arts (Honours) (English for Professionals) from the Universiti Sains Malaysia and will be well-equipped to help improve the standard of English in our country. Jonathan’s parents are divorced and he has been cared for by his 60-year-old aunt, a nursery teacher whom Jonathan regards as the only true mother he has. 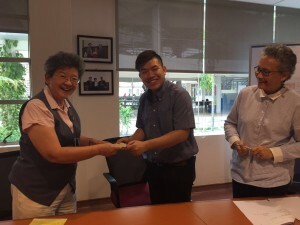 Aside from him, his aunt also cares for his aged grandmother, so the scholarship from the Elena Cooke Education Fund will truly help lighten the burden of his aunt.